I used to have a Toastmaster friend who loves tea. He talks about tea, he showed us his skills about tea. Everything was tea until suddenly he said I am opening a cafe. Huh?? He opened a very cozy little cafe called Coffee Lane in Penang. I used to go every few weeks or so, bringing customers, friends. I often ordered latte and he would sheepishly said, ‘my latte is different’. He would charge me cheaper because he mentioned it was not possible for him to make a great latte by using his siphon coffee machine. Thus, he used cheaper beans instead. Truth is, his latte tasted very down to earth. No pretensions to it. Taste is there it’s just that latte somehow should have the smoothness and class. His latte, well none. Haha. Recently, I went to his cafe and he immediately asked, ‘Latte?’ I said yeah. 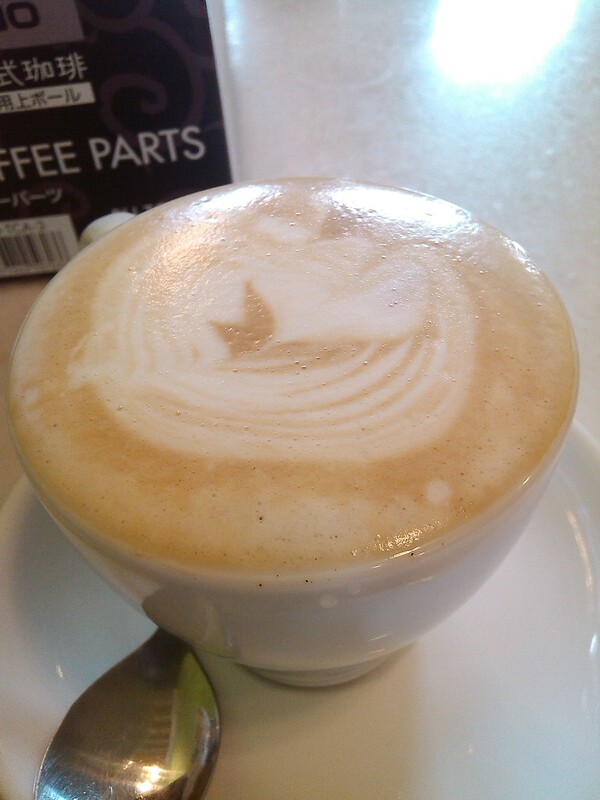 When he put down the latte in front of me, I asked, wow, new machine? One sip and I told him, hey it is now elegant! He laughed and said, expensive machine, thus better latte lar. This time, his latte was really nice. Smooth, with a strong aroma and coffee taste and just the right milk and froth. It was very good. Plus, this is my friend’s cafe. I grade his latte A. 🙂 Anyone who’s in Penang must try. His mum makes great Tee Nya Kuih too. written on 16th dec 2013. Hi Charles. Where is Coffee Lane pls…would love to visit….